Flipping through a magazine looking for something to draw, I came across a couple strolling with their dog. 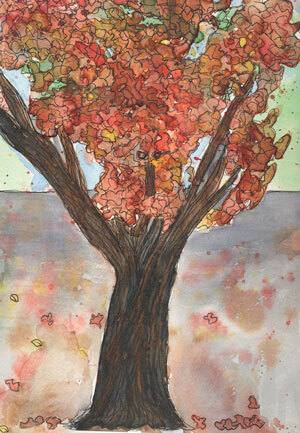 I drew them, added a tree, and had to pull out my watercolors and add some leaves. That illustration reminded me of walking with my husband through Central Park in New York City. Having just watched “Ferris Bueller’s Day Off” the lyrics “I recall Central Park in Fall” were in my head while I searched for an image of a couple in Central Park. I found a Getty Images photo to use as reference. It’s the lamppost that makes it Central Park. “It’s funny, how a project can start us on a path. A path similar to the branches of a tree. The path may be fairly straight – projects similar to one another. Or the path may be twisty – each project taking a unique turn. The path can be long – each project sparking the idea for the next one. Or the path may be short – as we experiment with something that doesn’t work out or fails to inspire us any longer. Categories: Illustration, Inspiration | Tags: artist process, Central Park, couple, fall, illustration, inktober, inktober2016, inspiration, sketchbook, watercolor | Permalink. Here in New York the leaves are beginning to change. Only a few have fallen. 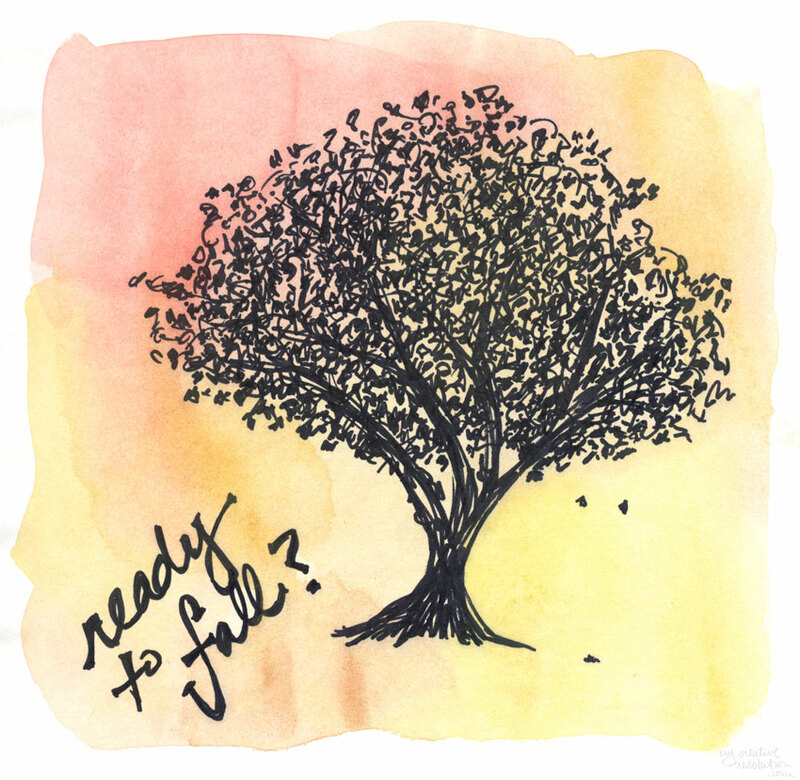 I am so looking forward to the bright colors and to walking through the leaves – that “swish swish” and the beautiful reds, purples, and yellows everywhere. Cleaning up the leaves I am not looking forward to! 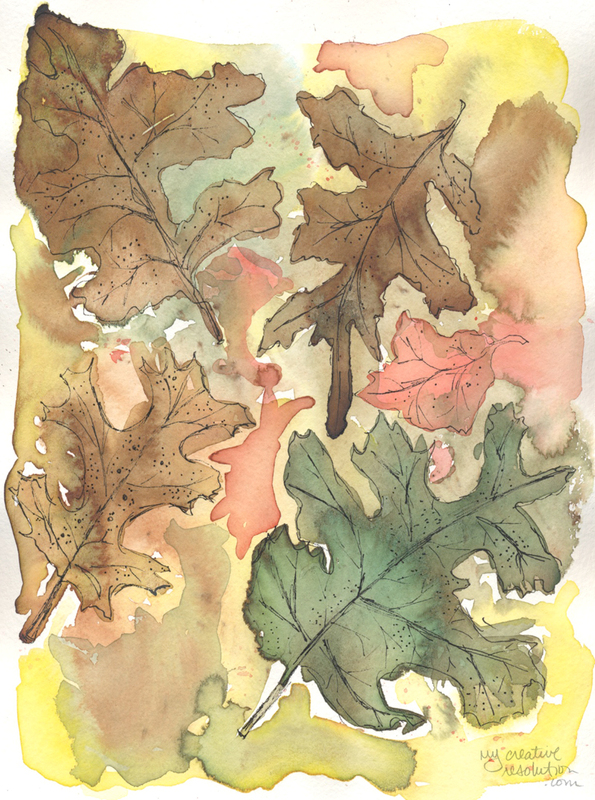 In years past, the leaves have been a huge inspiration to me. 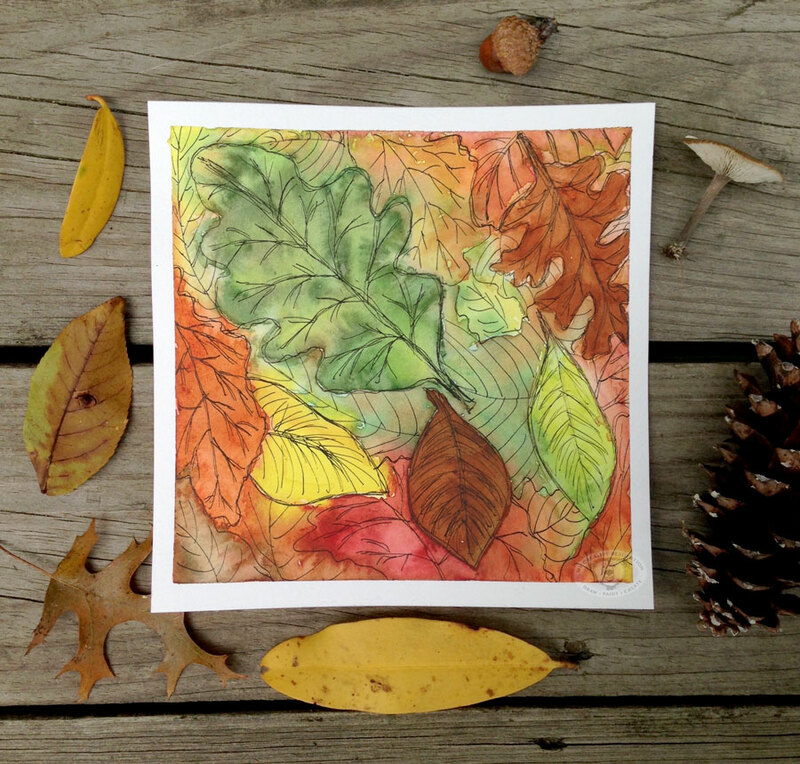 See how I made this watercolor leaf here. 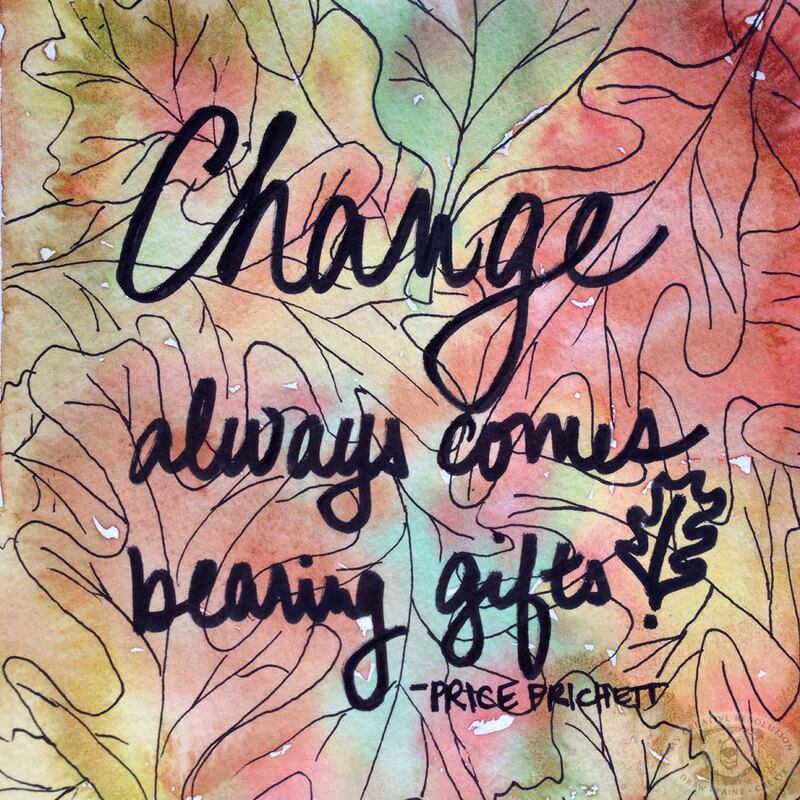 Categories: Inspiration, Watercolor | Tags: changing leaves, diy, fall, Fall craft, fall foliage, foliage, leaf, leaf diy, leaves, painting leaves, watercolor leaves | Permalink. 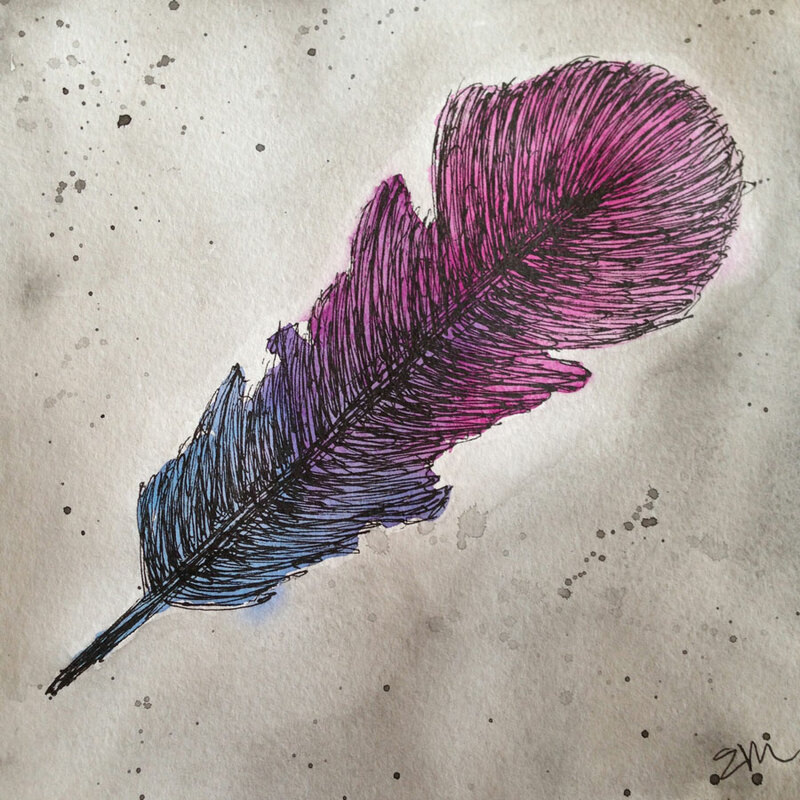 I’m looking forward to pulling out the watercolors to add to today’s sketch. Inspiration photo from Getty Images via Woman’s Day Magazine. 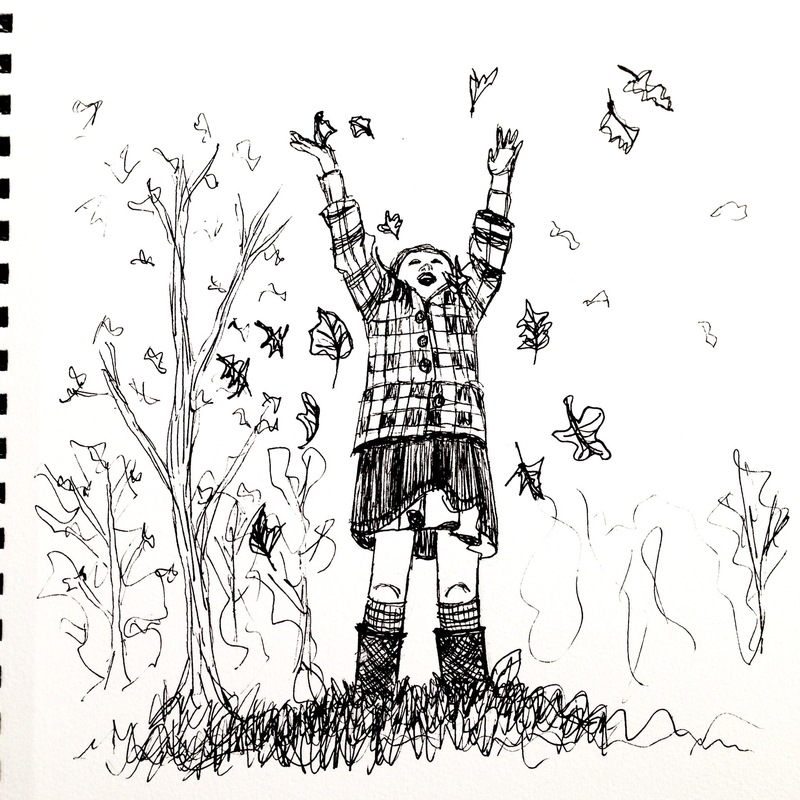 Categories: Pen & Ink, Sketch, Uncategorized | Tags: fall, fall fun, inktober, inktober2016, leaves, pen and ink, sketchbook | Permalink. As I added branches to my latest illustration project, I wondered, “What was I working on last year?” I asked myself the same question at the end of the Summer and the answer was interesting. 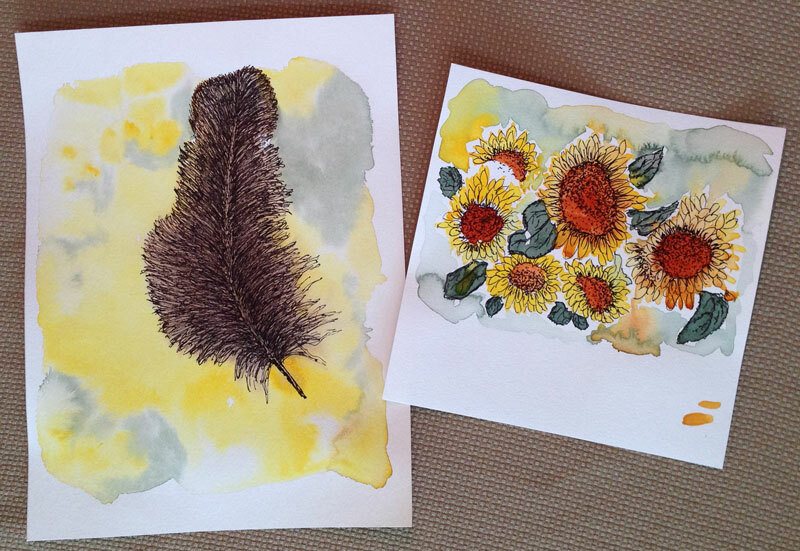 When I looked back to Summer 2014, I saw the start of my watercolor and ink style. I could pinpoint that first project where I added the ink details, and something clicked. The first couple of projects from Summer 2014 looked one way, and then a change took place. Now, when I look back to last Fall, I see that I continued to work in that style. I actually don’t see much of a difference between last Fall and this Fall. To me, the projects are almost interchangeable. But I don’t feel stagnant. I still think I’m growing and developing, and I’m happy to have found my style. Especially, after years of wondering how to find your style! 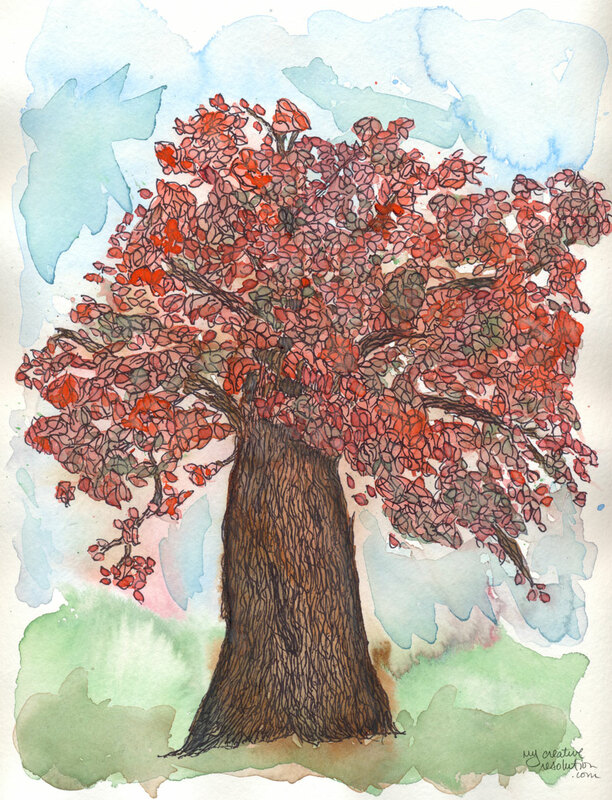 Categories: Illustration, Pen & Ink, Watercolor | Tags: developing your illustration style, Drawing, fall, illustration, illustration style, leaves, painting, trees, watercolor | Permalink. For the most part, I like to keep my art hand drawn or painted. The exception is when I’m working on designing a repeating pattern. But sometimes, my 20 years of experience with Photoshop, comes in handy with my artwork. Separately in my sketchbook I created a couple of version of the boy, based on my youngest son. I scanned both, opened them in Photoshop, and started playing around. The possibilities are endless! I choose one boy and added a shadow so he wouldn’t seem so “floaty.” I also added some extra leaves in an area that looked weird. I don’t normally use Photoshop with my artwork because the original goal of “my creative resolution” was to develop my drawing and painting skills. But it is nice to have the tools to use, when the need arises! 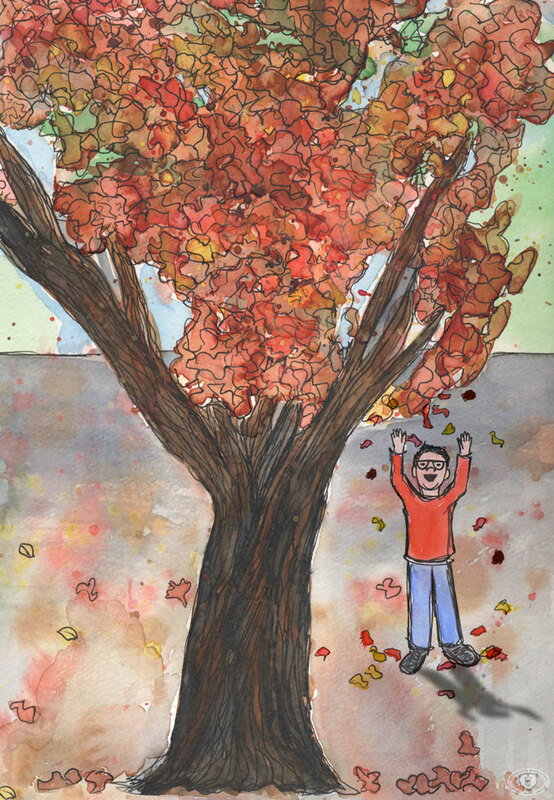 Categories: Illustration | Tags: children's illustration, digital art, editing art with Photoshop, fall, illustration, leaves, painting, Photoshop, sketchbook, tree, watercolor | Permalink. I remember, way back in elementary school, staring a project early, but never finishing it until the night before it was due. I needed the deadline to motivate me to finish. All these years later I know the power deadlines have to motivate me. Now, I’m using this to my advantage. If I want to accomplish something I set a deadline. In my work, these soft deadlines are supported by the client waiting for the final product. In my creative life, these “made up” deadlines are supported by you. If I write on the blog, I’m going to do something, I intend to follow through on that promise. Whether anyone remembers or not! 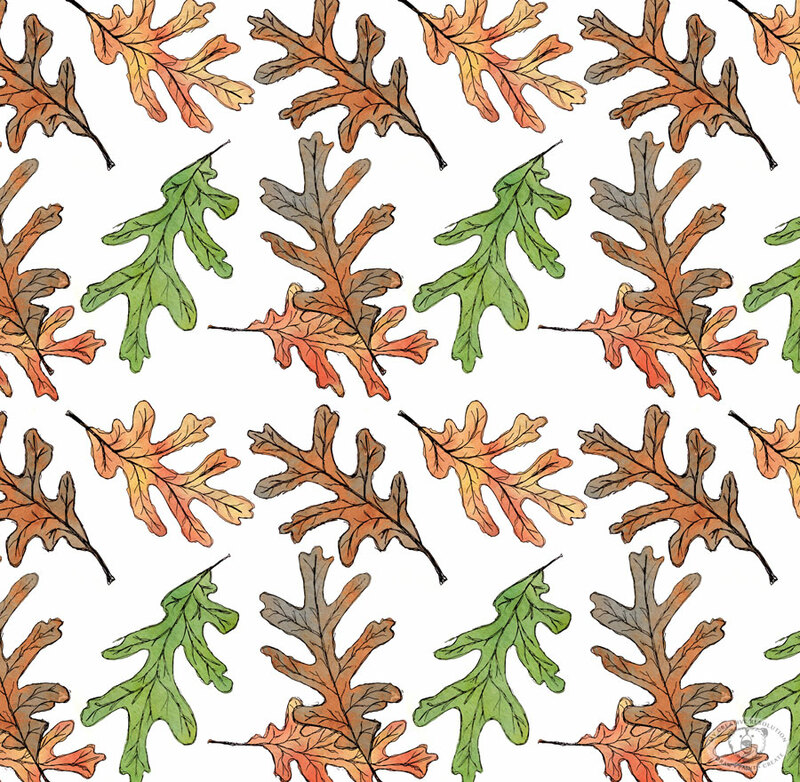 This leaf pattern design is my October surface design. Yes, I’m a couple of days late, but I got caught up in my Halloween creations! I’ve designed one a month this year! That’s 10 so far! I’m really proud that I set “surface design” as a goal for 2015 and have achieved it. I designed the first one in January. That’s when I committed to “a design a month.’ Setting the monthly deadline has made all the difference in pushing myself and getting it done. Have you set deadlines for yourself? How did that work out? If you haven’t, are you considering it now? I’d love to hear! 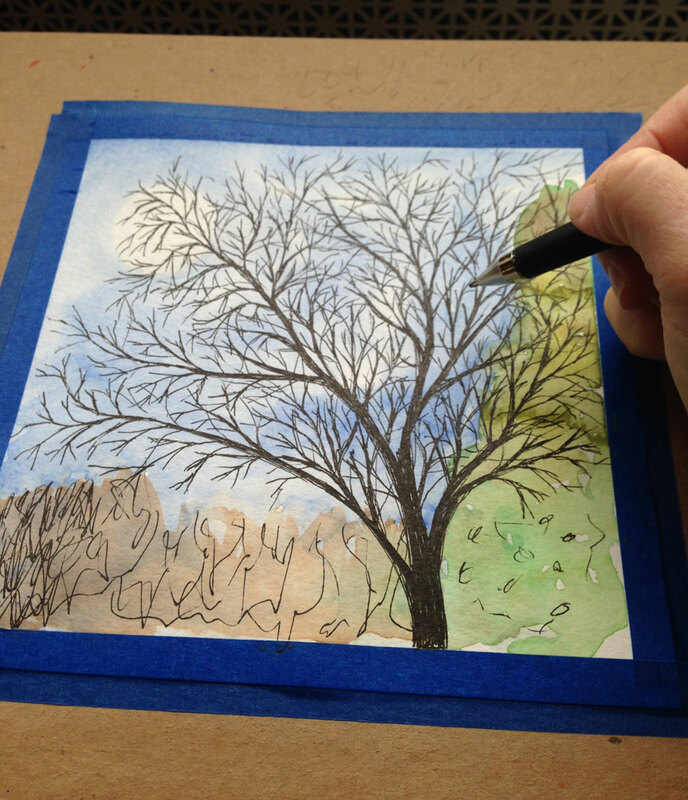 If you’d like to learn how to turn your artwork into a repeating pattern, read this recent post. 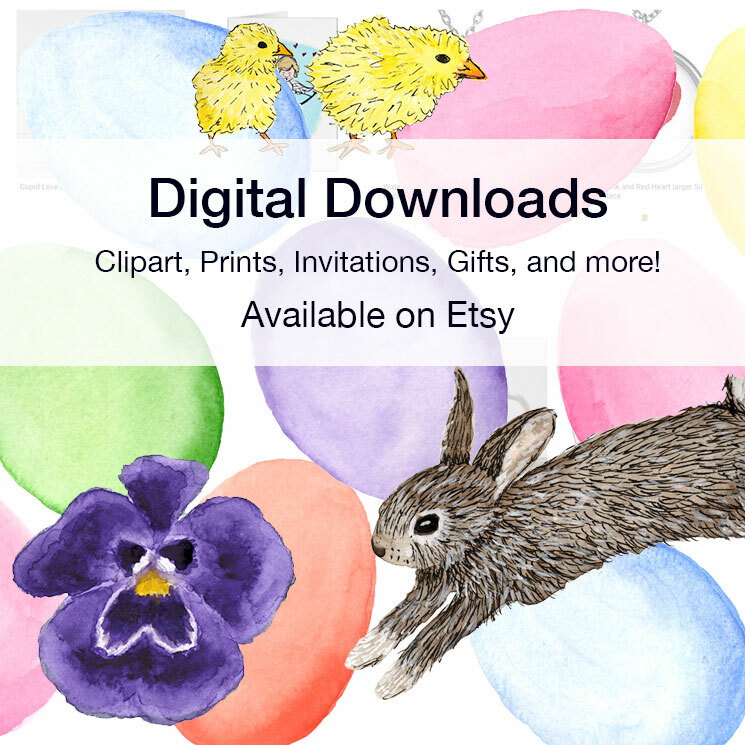 Categories: Patterns/Surface Design | Tags: deadlines, Design, fall, goals, illustration, leaves, pattern, Photoshop, surface design, watercolor | Permalink. The “ideas” post was from the early days of my creative resolution. While reading through my old posts, I realized that focusing and finishing were recurring themes. 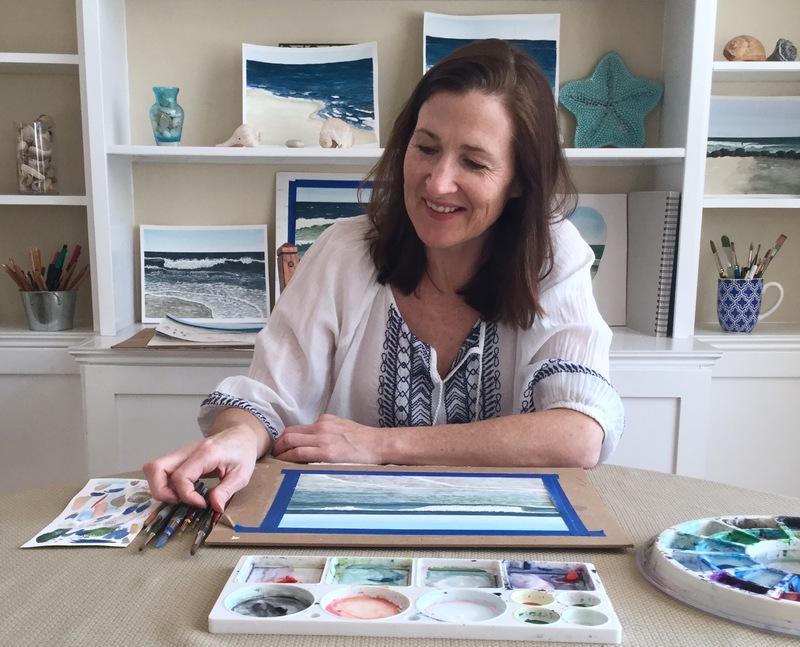 Previously I wasn’t successful with my creative projects because I was always starting and stopping, and never finishing. Which left me feeling discouraged. I started this creative journey in 2014, by finishing several old projects and doing several projects that I had always wanted to try. 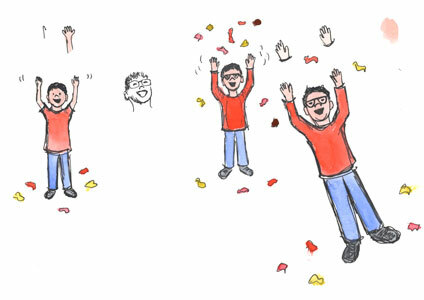 Accomplishing these things made me feel good, and so I kept going, with new projects. I’ve come a long way since then. I try to draw or paint every day. I always shy away from the word “daily” because I’m more likely to paint and draw a lot for a day or two. Do nothing for a day or two, and then get back to it again. I keep a notebook of “to do” lists and project ideas. I check off things as I go, and look back to see if I forgot anything. I’ll keep an old idea on the list for a while. Of course, I don’t get to everything, but it feels amazing to accomplish something that’s been on my list for months. The percentage of unfinished projects is much, much lower than it was before MCR. 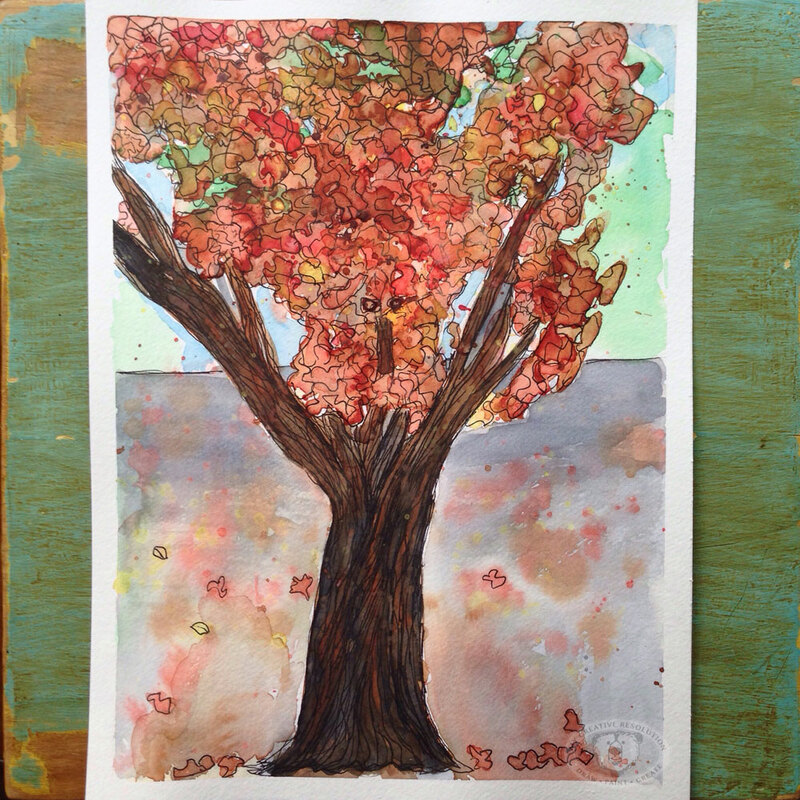 Categories: Resolution | Tags: Art, children's illustration, Drawing, fall, Fall leaves, finishing, focusing, illustration, inspiration, painting, resolution, sketchbook, tree, watercolor | Permalink. One of the side effects of living a creative life is your senses become super charged. Plainly stated you notice things. On a recent walk with a friend, I stopped her a few times to say, “Look at that!” Her response, “I forgot I was with an artist.” I was finding beauty in things she didn’t even notice. 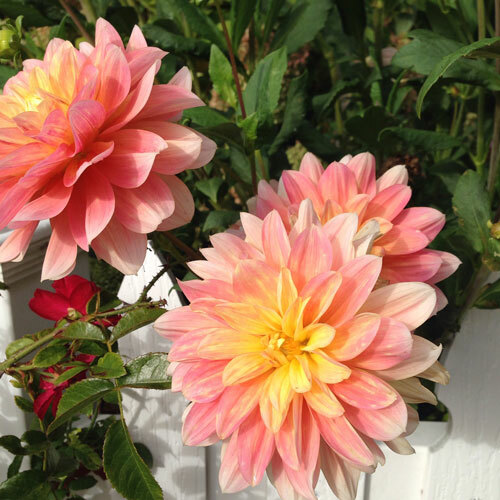 I mean just look at these flowers! I love this “stop and smell the roses” mentality. As a runner, I see things all the time that I’d never notice driving by in a car. I often stop running and snap a photo. A common caption on my Instagram is “Found during my run.” Many times these photos are inspiration for my paintings. I’ve realized over the last year and half, how much the seasons inspire me. Here in New York, the leaves are just starting to turn. I see hints of it here and there. And I can’t wait. 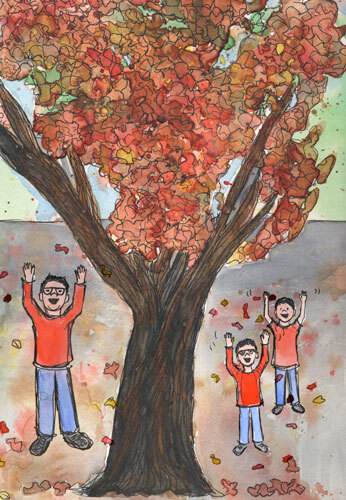 My recent artwork reflects how Fall is inspiring me. Categories: Inspiration, Sketch, Watercolor | Tags: art projects, creative, creativity, fall, illustration, inspiration, noticing, painting, running, senses, Sketch, sketchbook, stop and smell the roses, supercharge your senses, walking, watercolor | Permalink. Have a good weekend! And if you are on the East Coast – stay dry. 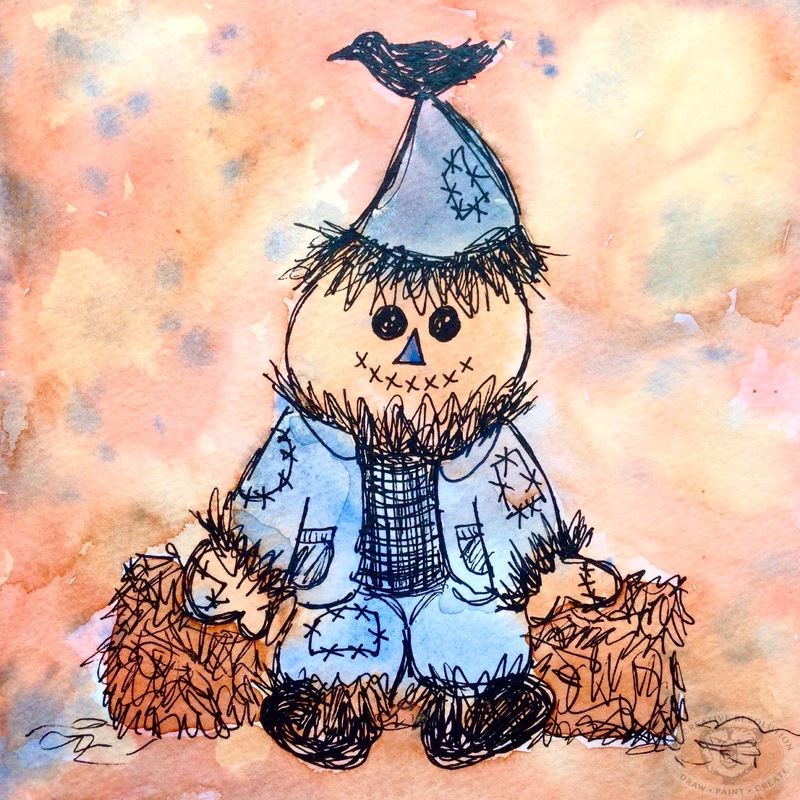 Categories: Pen & Ink, Watercolor | Tags: autumn, fall, hay, illustration, pen, scarecrow, watercolor | Permalink.